1. 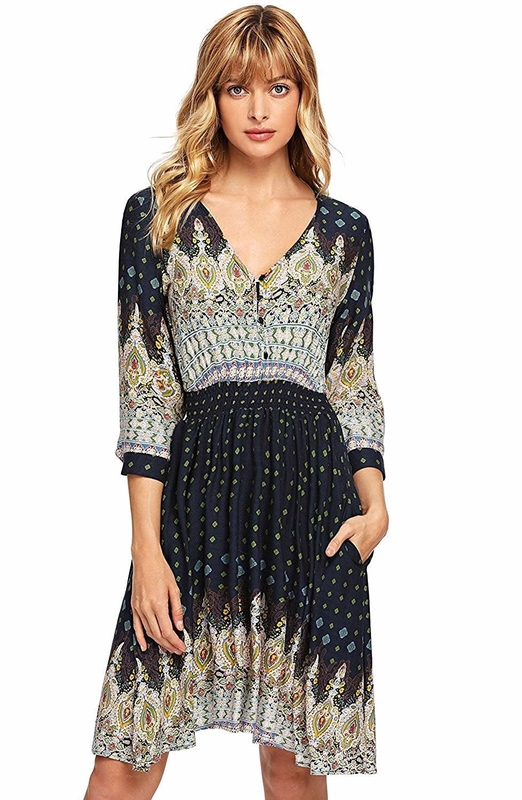 A boho-printed dress just begging to be paired with tall boots and a pumpkin spice latte. Get it from Amazon for $17.99+ (available in sizes XS-XXL and in six styles). 2. A pastel duster jacket because fall definitely doesn't have to be all about neutrals. 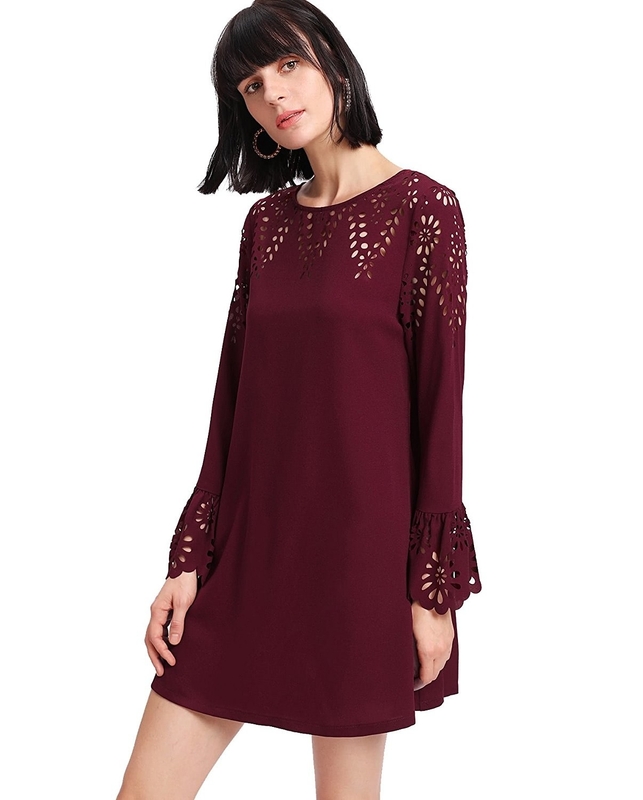 Get it from Boohoo for $18 (available in sizes 12-24 and in seven colors). 3. 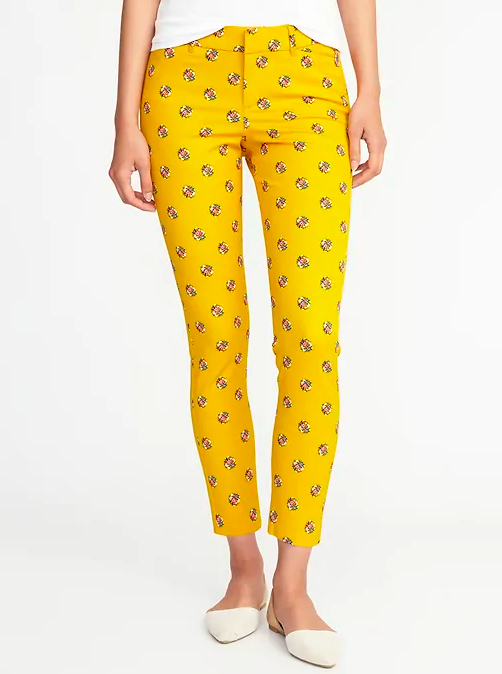 Bright ankle pants that are a polished step up from (but probably cheaper than) your fave pair of jeans. Get them from Old Navy for $24.97+ (available in straight sizes 0-20, tall sizes 2-20, and petite sizes 0-20 and in 16 colors and prints). 4. Hella polished oxfords with a pointy toe to have you lookin' sharp. Get them from Asos for $48 (available in sizes 4-12). 5. A go-everywhere anorak that might not leave your body all season long. Get it from Amazon for $19.99+ (available in sizes S-3X and in 42 styles). 6. A high-quality reversible carryall with a removable pouch that's nothing short of tote-ally awesome. The magnetic clasp means your stuff won't be visible to everyone like with many other totes! 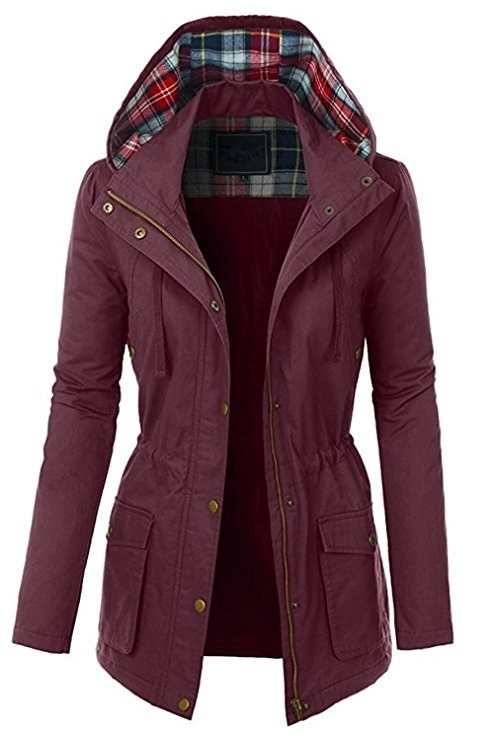 Get it from Walmart for $13.97 (available in four colors and prints). 7. 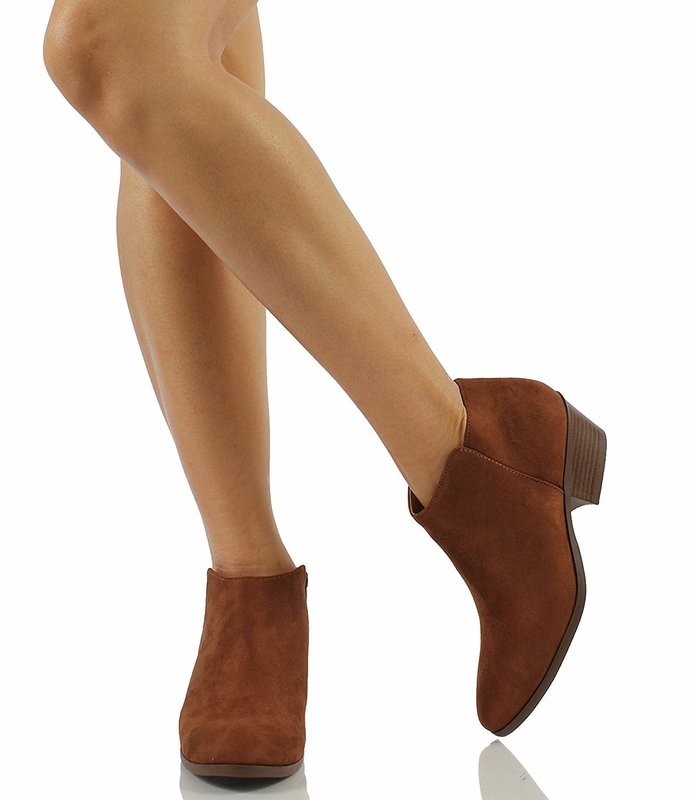 Faux suede low heel ankle booties, which may make you decide to give all your other footwear the boot. Get them from Amazon for $19.19+ (available in sizes 5.5-11 and in 26 colors). 8. A velvet top and sweatpants set that's wayyyyy more posh than that velour tracksuit you begged your mom to buy you in seventh grade. I can't believe you get both pieces for this price! 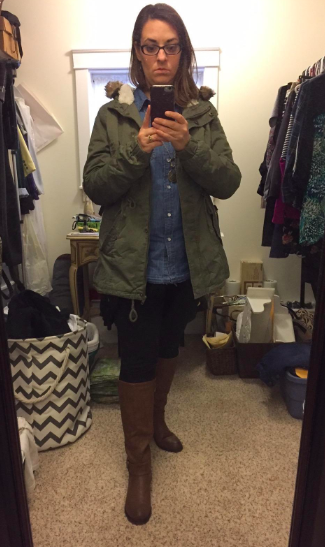 You can also wear each piece separately for an endless array of fall outfits. Get it from Boohoo for $20 (available in sizes 14-20 and in three colors). 9. A luxuriously soft wrap you can tie as a shawl or a scarf, and that will keep you cozy in office AC now and autumn breezes later. Get it from Amazon for $9.99+ (available in 11 colors). 10. 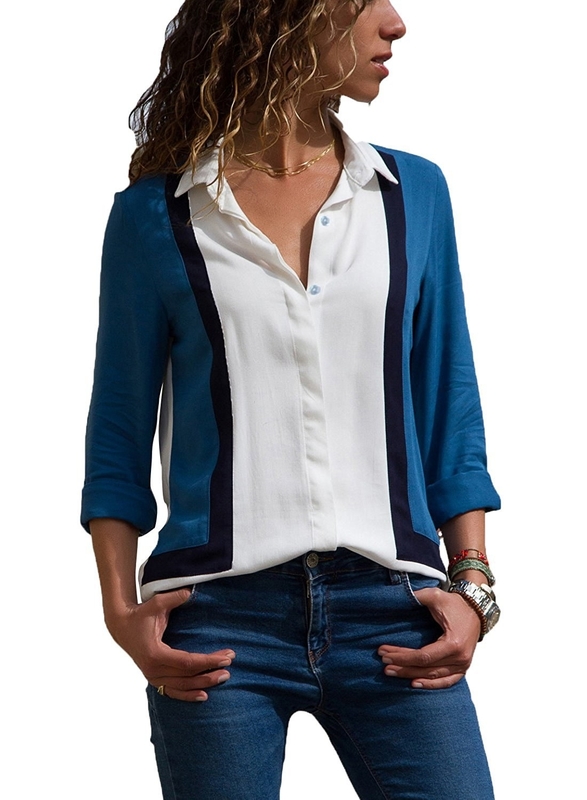 A striped top that screams "Parisian chic" and will still leave you with plenty of funds left to book your flight to France. Get it from Amazon for $14.99+ (available in sizes XS-XL and in two colors). 11. Tuxedo striped skinnies to give even the most casual days the excitement of a black-tie event. Get them from H&M for $29.99 (available in sizes 0-14). 12. 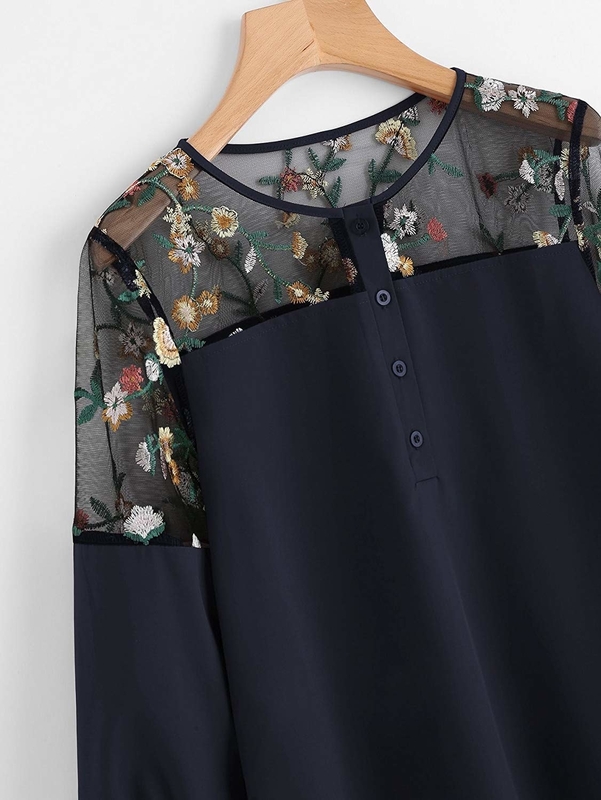 A mesh-paneled top threaded with fall florals and appropriate for every stitch-uation. Get it from Amazon for $11.99+ (available in sizes S-XL and in five colors). 13. A cozy black sweater that's such an essential fall staple, you'd gladly pay triple the price for it. 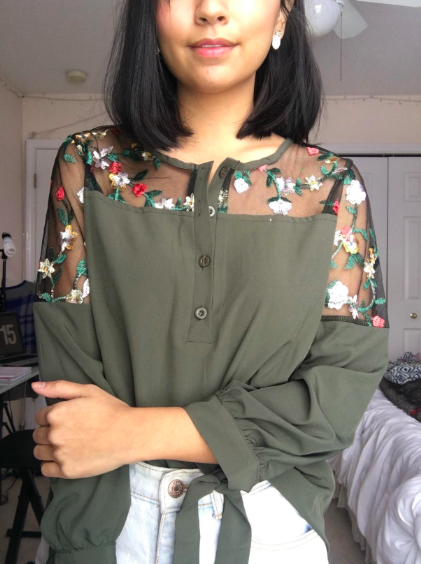 Get it from Asos for $16 (available in sizes S-L). 14. A horse print top all your friends and neigh-bors will wanna know where you got. Get it from Forever 21 for $17.90 (available in sizes XS-L). 15. A funky printed button-down that's the perfect mix of work and play. 16. A sharp plaid blazer so you can check "slay" off your fall to-do list. Get it from Walmart for $24.94 (available in sizes S-XXL and in two colors and patterns). 17. 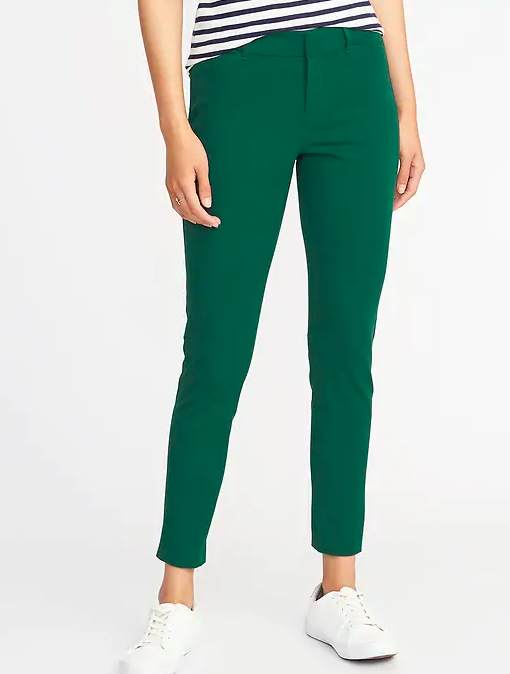 Professional paper bag waist pants to make you look totally boss even without a corner office budget. Get them from Amazon for $19.99+ (available in sizes 4/6-12 and in nine colors). 18. 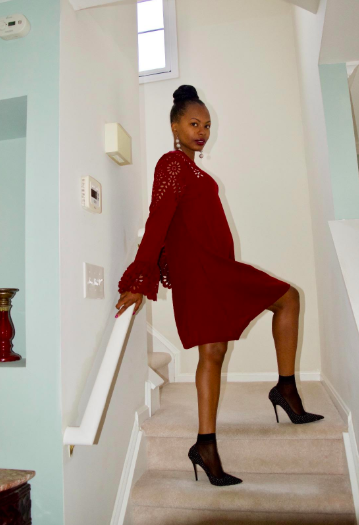 Faux patent leather ankle boots everyone will think are designer — don't worrry, it's okay to keep your lips zipped about the real price. 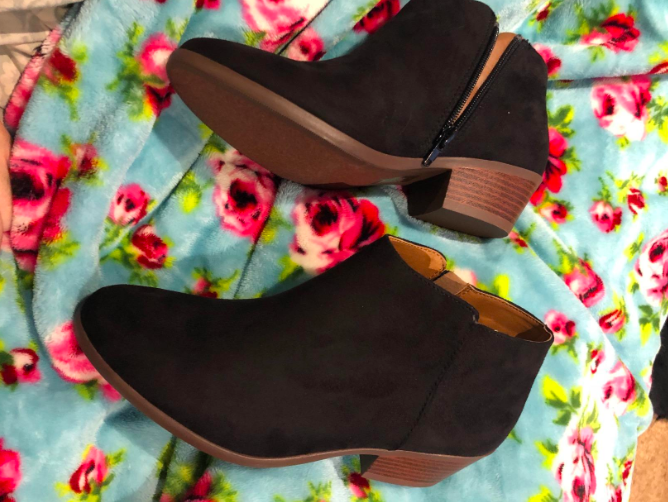 Get them from Boohoo for $32 (available in sizes 5-10). 19. The perfect boyfriend jeans, which, unlike your real boyfriend, you'll be proud to tell everyone you met online. Get them from Old Navy for $35 (available in straight sizes 0-20, tall sizes 2-20, and petite sizes 0-18). 20. A chic, cutout-detailed shift dress you can dress up with heels or down with leggings. 21. A snake patterned crossbody that'll make it look like you splurged. But the idea of actually paying major $$$ for a purse when there are fab steals like this around? Hiss-terical. Get it from Mango for $29.99 (available in three colors and patterns). 22. 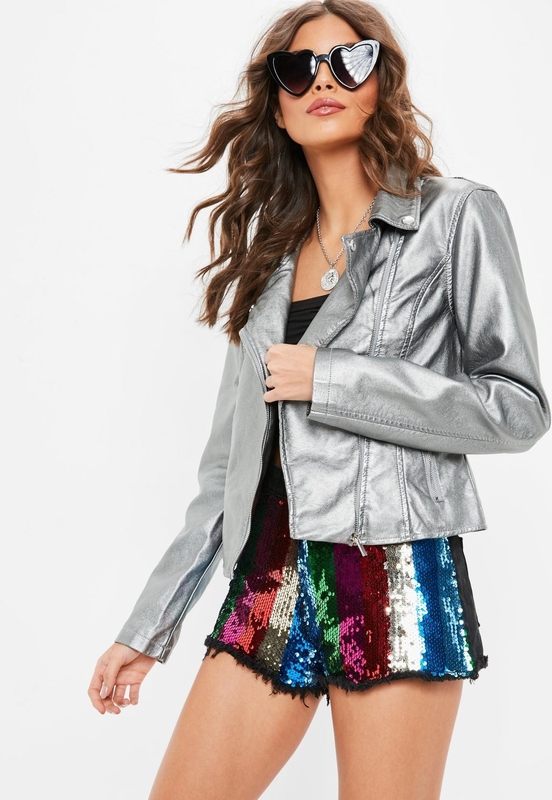 A classic moto jacket so you can look like a rocker, even if your idea of living on the edge is ordering takeout from a new place. Get it from Missguided for $27+ (available in sizes 0-10 and in 11 colors). 23. A floral-embroidered bag I honestly can't believe isn't by some fancy designer. And since it's got a crossbody strap, it's as functional as it is fashionable. Get it from Target for $34.99 (available in three colors). 24. A classic turtleneck so you can stay cozy and chic without having to shell out a lot of dough. Get it from Amazon for $18.99+ (available in sizes S-L and in six colors). 25. 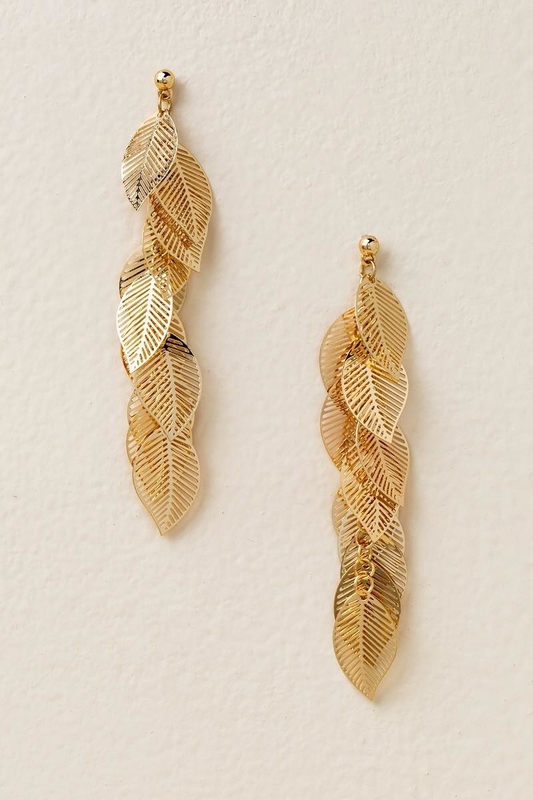 Golden leaf earrings that'll cascade off your lobes as the real leaves fall off the trees. Get them from Francesca's for $18. 26. 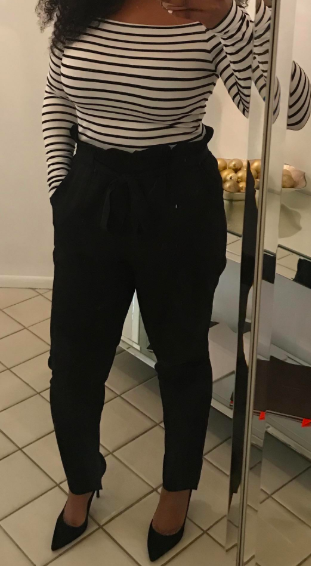 A double-breasted pinstripe jumpsuit to let everyone know who wears the pants around here (spoiler alert: it's you). Get it from Forever 21 for $35 (available in sizes S-L and in two colors). 27. A trendy ribbed sweater you'll definitely want to colorblock off some time in your sartorial schedule to wear. Get it from H&M for $24.99 (available in sizes XS-L and in two colors). 28. A purr-fect leopard scarf befitting a member of high society. Get it from Nordstrom for $19. 29. A faux leather mini skirt that looks even softer and butterier than the real deal. Get it from Forever 21 for $24.90 (available in sizes 0X-3X).